THE Constitutional Court (ConCourt) has banned the use of State security agents as public prosecutors at civilian courts, saying their secondment to the National Prosecuting Authority (NPA) was a serious violation of the Constitution. The ruling came following an application filed by the Zimbabwe Law Officers’ Association and former public prosecutor Derek Charamba, where the parties were seeking an order compelling Prosecutor-General (PG) Kumbirai Hodzi and Justice Ziyambi Ziyambi to stop engaging police and army personnel as public prosecutors. Sometime in January 2015, the late former Chief Justice Godfrey Chidyausiku, who headed the nine-member ConCourt bench, reserved judgment in the matter after submissions were made by the PG’s representative Sharon Fero and applicants’ lawyer, Advocate Tawanda Zhuwarara. But yesterday, ConCourt judge Justice Antoinette Guvava delivered the unanimous judgment and read out the operative part which ordered the PG to disengage the services of security officers from the NPA over the next two years. “The engagement by the first respondent (NPA) of the serving members of the security services to prosecutorial duties is in contravention of Section 208 (4) of the Constitution of Zimbabwe… It is, hereby, ordered that: the first respondent (NPA) is directed to disengage all members of the security services within 24 months from the date of this order,” Justice Guvava said. During the hearing, the late Justice Chidyausiku took the PG’s Office to task, demanding an explanation on why the NPA wanted its job to be done by police officers and soldiers still in service. “Why do you want the police to do your job? We in the Judiciary do not want to have police officers as magistrates,” Justice Chidyausiku said then. In response, Fero said the practice of engaging security forces as public prosecutors had been in existence since time immemorial, adding that the main reason was unattractive condition of service offered by the NPA. Fero further said there were no provisions in the Constitution that precluded security forces to be engaged as prosecutors. 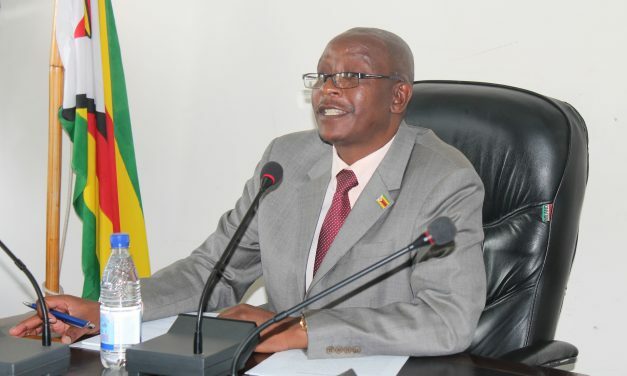 But in his submissions on behalf of the applicants, Zhuwarara said the use of security forces to perform prosecutorial duties in civilian courts was in violation of section 208(4) of the Constitution. He added that the engagement of police and army officers to prosecute in civilian courts was a misnomer adding that the practice could not be condoned, tolerated or excused in a democratic society.